Elements with Ease is a software solution that aides users in learning the elements of the periodic table through rote memorization and multiple choice quizzes. 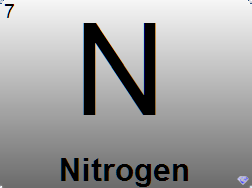 The software displays an elements symbol, name and atomic number in the main application window. This data is cycled every fifteen minutes to expose users to different elements. The list of elements can also be scrolled through with the mouse wheel or the arrow keys. There is also a picture of the periodic table viewable in a separate window. The QuickQuiz feature challenges user's new-found knowledge with randomly generated, multiple choice quizzes that test and grade your progress. Elements with Ease is supported by Southside Solutions LLC on the following editions of Windows 10 – Windows 10 Home, Windows 10 Pro, Windows 10 Education, Windows 10 Enterprise and all Windows 10 Insider Preview editions.